Adults Who Participated in High School Extracurricular Activities Earn More Money – Education – GOOD. Cutting the yearbook may save money in the short term, but denying students the opportunity to participate in extracurricular activities has costs that aren’t immediately apparent. Were you one of those students who signed up for every high school club under the sun? A proud attendee of band camp? If so, chances are you’re making more money than your peers who skated through school without participating in extracurricular activities.�Recent research�by Cleveland State University economics professor Vasilios D. Kosteas shows that participation in clubs correlates with higher future earnings, and might increase the likelihood that a student will end up becoming a supervisor. Kosteas’ findings are certainly food for thought at a time when, thanks to budget cuts, school districts are looking to slash any programs that aren’t perceived as essential. Cutting the yearbook may save money in the short term, but denying students the opportunity to participate in extracurricular activities has costs that aren’t immediately apparent. Do you remember what your professor or teacher lectured about the minute after you left the classroom? Is lecturing just an efficient technique for a pompous old bat to make him(her)self feel good? Do teachers really like to hear themselves talk? Is that Mitt Romney teaching chemistry? Larry Cuban is a wise old education professor and on his blog he questioned the lecture. In this blog entry he delves into the history of the lecture. I once met Larry Cuban at a conference in California. You don’t really gain a sense of his feelings about lectures from his blog, but in an ironic twist he used lecturing exclusively in his presentation. At any rate, his writing got me thinking about the use of lecture and whether or not it is outdated. The answer, of course, is no AND yes. So lecture cannot stand on its own. It needs to be engaging and thought provoking. As Daniel Willingham discusses in his book, “Why don’t students like school?”, the cornerstone to learning is thinking. “We remember what we think about.” Period (I know that it’s already there, but a little emphasis needed to be present). Lectures can be captivating teaching techniques if they cause the student(s) to think. If they do this, then yes, they are great teaching tools. However, no, they are not appropriate all the times. (the plot thickens) I’m a high school teacher (well, an admin, but always and forever a teacher), and I know that I am a performer when I’m up in front of students or leading them in an activity. This is like Carrot Top in one way (and ONLY one way) in that you have to have lots of learning props ready to go. You have to have good questions, real props, visuals, sounds, images, etc. in order to keep the students immersed in learning at all times. 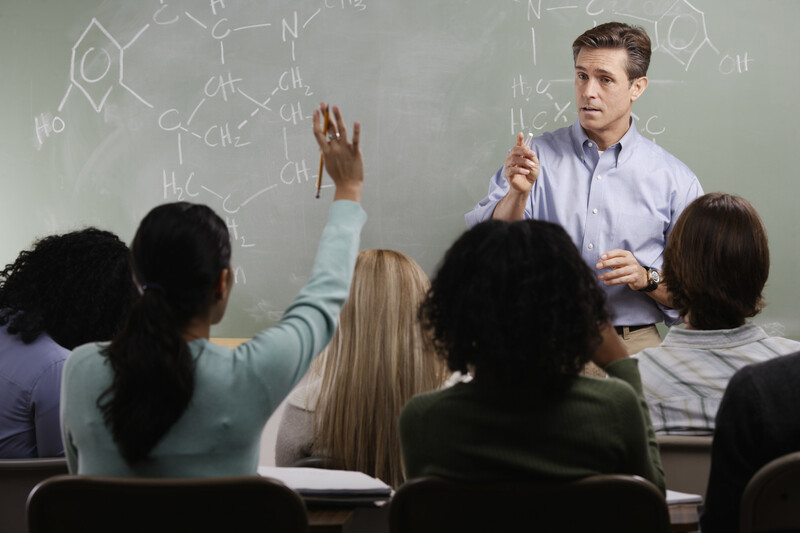 Simple lecturing usually does not convey enough information, in a rich enough fashion, to capture your students’ attention and keep them thinking. Lecturing is not outmoded but is a practiced and time honored skill. Teachers use it because they must, but also because it can be highly efficient and effective. It is always good to question all techniques that teachers use in a classroom, but I think that we can put this one safely in the “to keep” category. Besides, it’s not going anywhere, anyways.